Capture the heart-warming sentiment based on the ‘Guess How Much I Love You’ book. 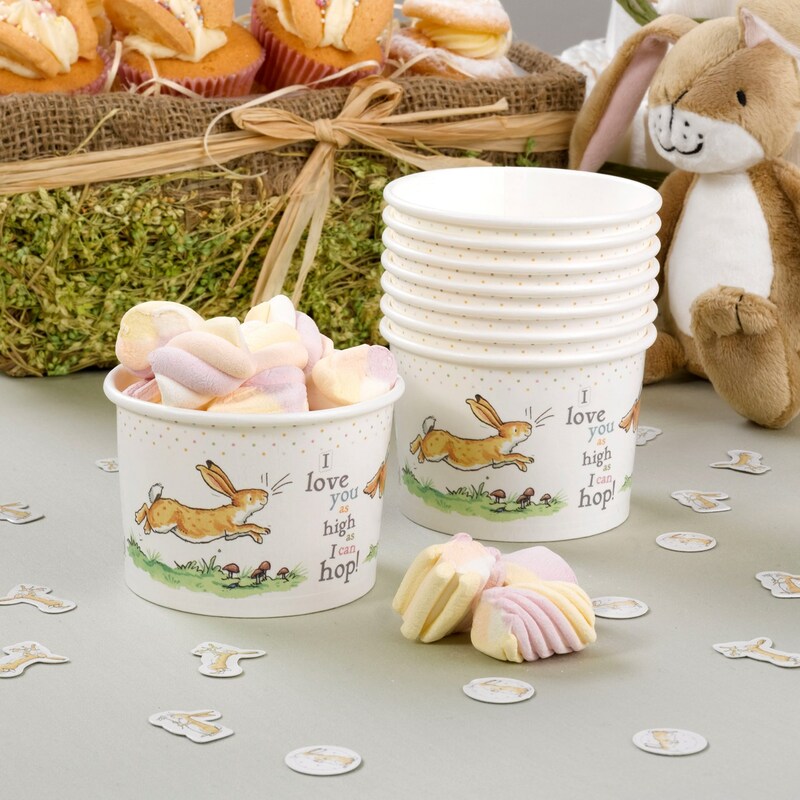 These delightful treat tubs Illustrated with the distinctive watercolours for which the book is famous, are perfect for your child’s Christening, birthday, or a baby shower celebration. Each pack contains 8 Treat Tubs.